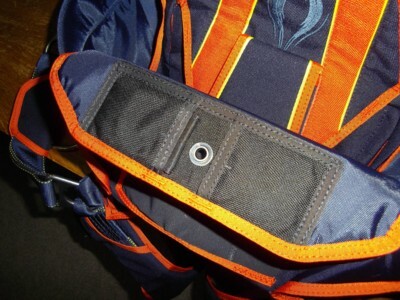 The bottom flap of the Main is to cover the deployment bag of the Main, placed into the container, from the bottom. 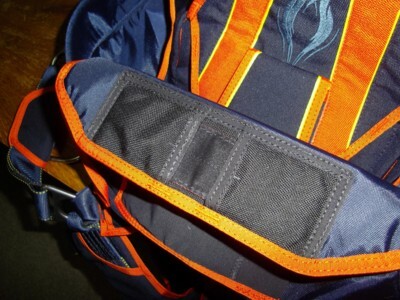 A transformer pocket that allows placing the loop, closing the container from the bottom flap, and remove the loop from the bottom flap to close the bag from the bottom of the container, is placed on the bottom flap (as recommended). In standard set of the closing loop (from the bottom of the container, under the Reserve) it is the first flap to be closed at stowing. Closing from the bottom of the container allow to widely vary the Main chutes with having secure loading on the closing loop. 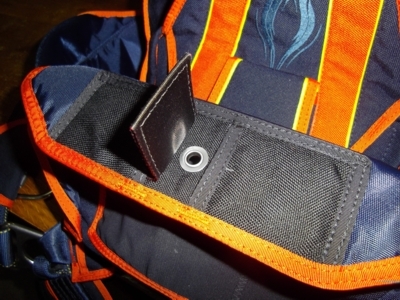 Warning: placement of the loop on the bottom flap, though it is one of the tested methods of closing, is not recommended. Closing by the loop from the bottom of the container provides more accurate and smooth placement of the Main chute deployment bag, essentially improving the external appearance of the container stowed, and increasing safety parameters in case if the package volumes of the installed parachutes differ from the estimated volumes.